My friend Jesse Carlsson is an ultra-endurance athlete riding for Curve Cycling. I made a video about Jesse a few years ago just before he took on the 6812km Trans Am Bike Race. He ended up tearing that one to bits, coming in a full day ahead of 2nd place! Jesse has tackled other big ultras like the Tour Divide (2nd), 2016 Race To The Rock and 2017 Indy Pac, while also being the event organiser of the latter two. This video with Rhino (our local cycling comedian ) is a full tear-down of Jesse’s Curve GMX and the gear that he used to set the fastest time for the 2017 Race To The Rock. 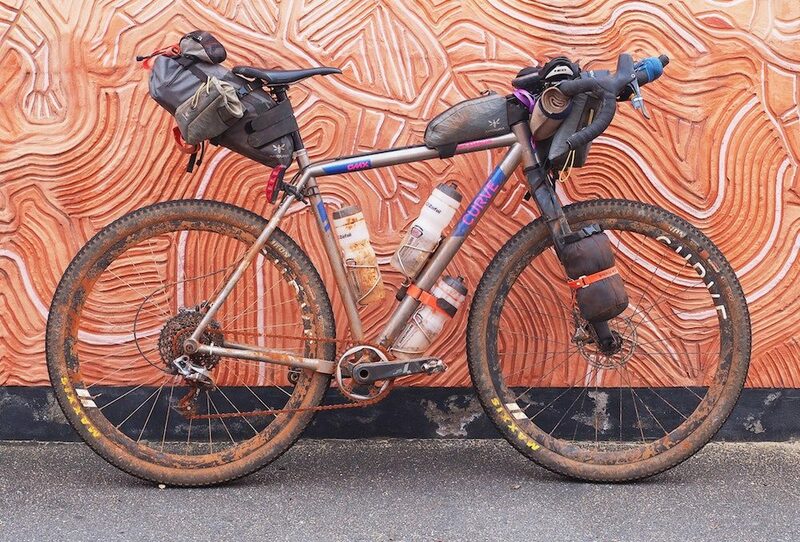 If you didn’t follow the Race To The Rock, this year’s edition was a 3000km (1900mi) non-stop race from Albany in Western Australia to Uluru in Central Australia. 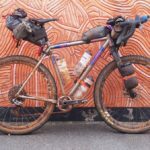 The first 1000km (600mi) was along the Munda Biddi Trail – the longest mountain bike trail in the world, and the off-road touring route that I tackled last year and fell in love with. After that, it was remote desert roads all the way to what is almost the centre of Australia; Uluru. Jesse had to carry huge quantities of food and water on his Curve GMX for the second half of the race as there were often no services for hundreds of kilometres at a time.